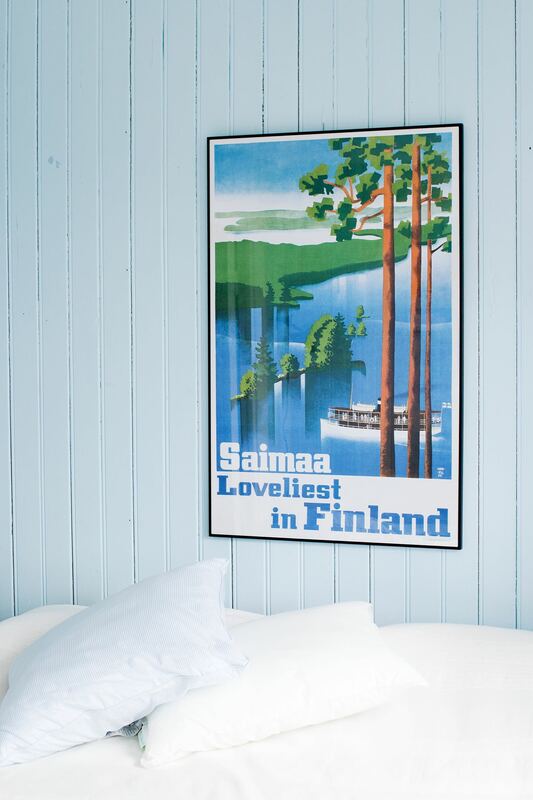 Home / Products / Vintage Posters Reprints / Original size / Saimaa...Loveliest! This poster by the duo Paul Söderström & Göran Englund is one of our absolute favourites. Because it’s Finland in a nutshell! Finland IS Lakeland. And you can still hop on the boat (the boats looks exactly the same today) at the harbours in cities like Kuopio and Savonlinna. And what a ride! It’s you and the lake – for a full 10 hours. 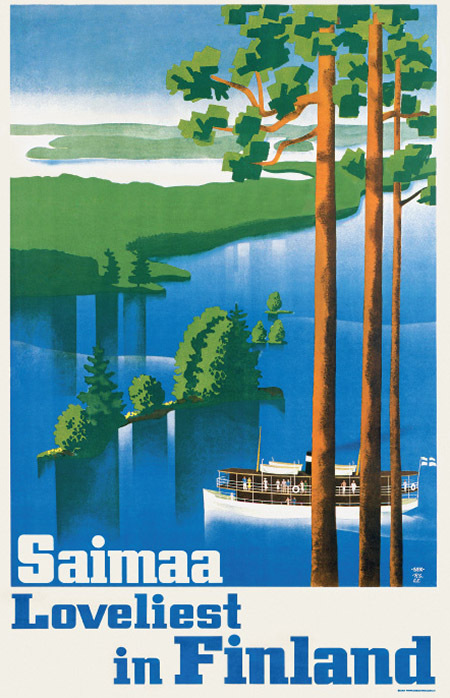 This poster was published at least in English, Swedish, Finnish and French and shows just how international they tried to make Lakeland tourism just before the war. Just like today, btw! 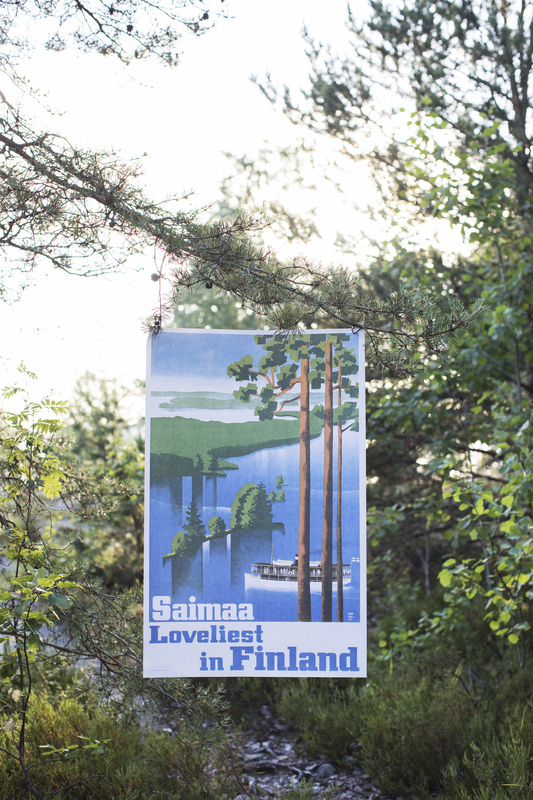 This poster was also published as an official stamp by the Finnish postal company in the 2010s, thanks to the Come to Finland-project.